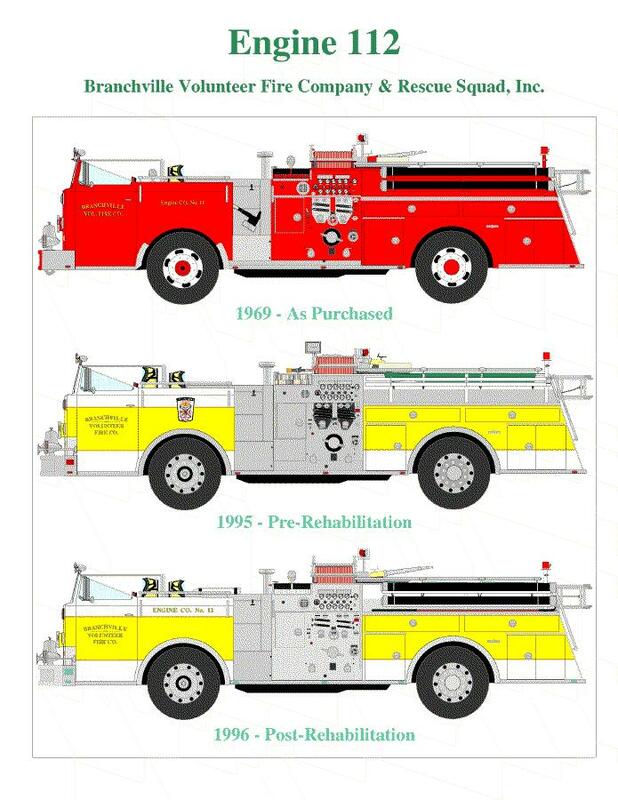 STATUS: Sold in 198? 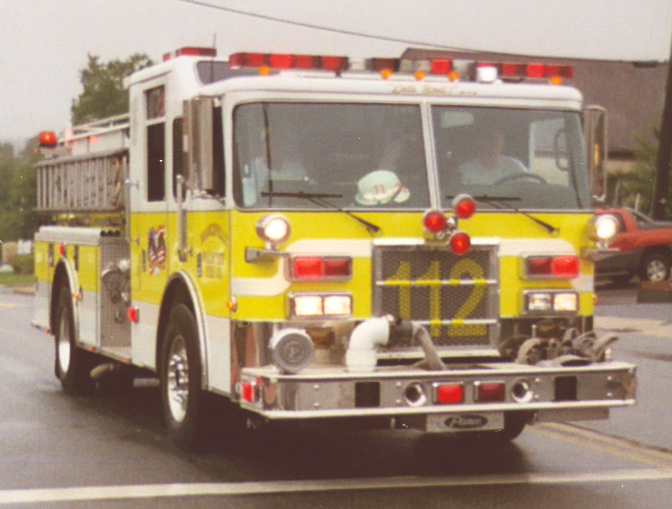 to the Prince George's County Fire/EMS Dept. 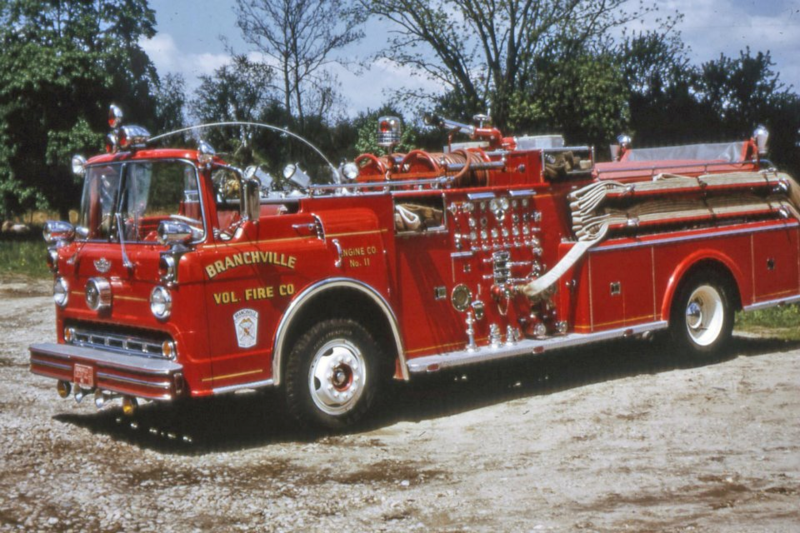 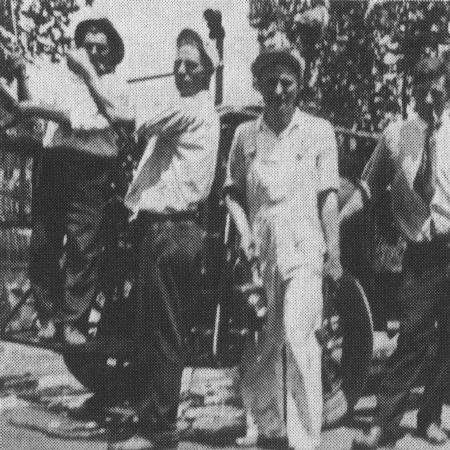 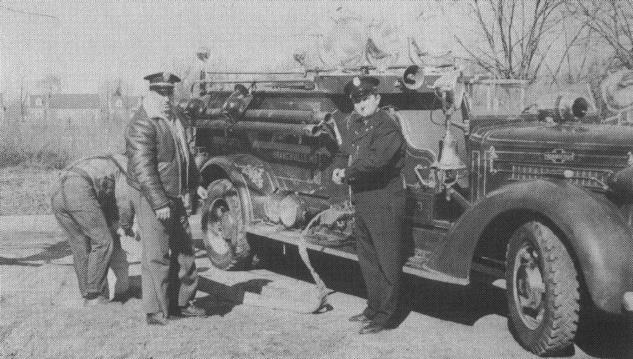 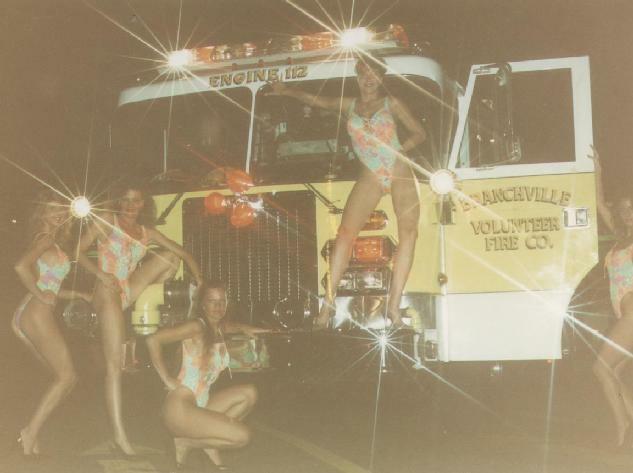 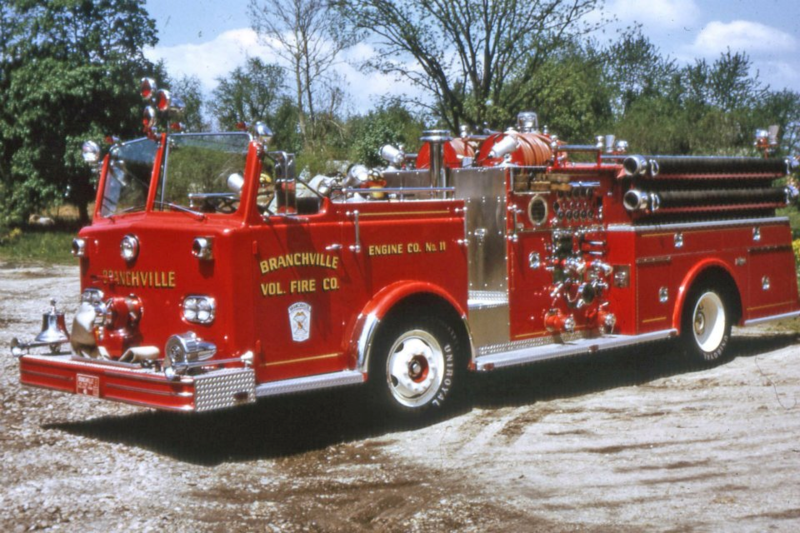 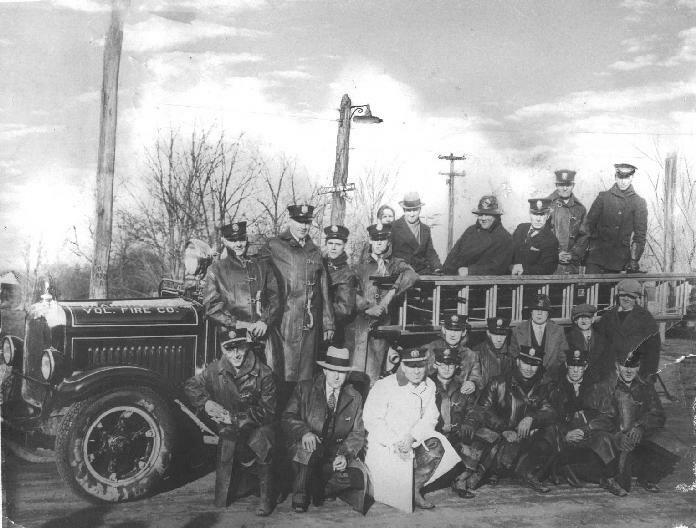 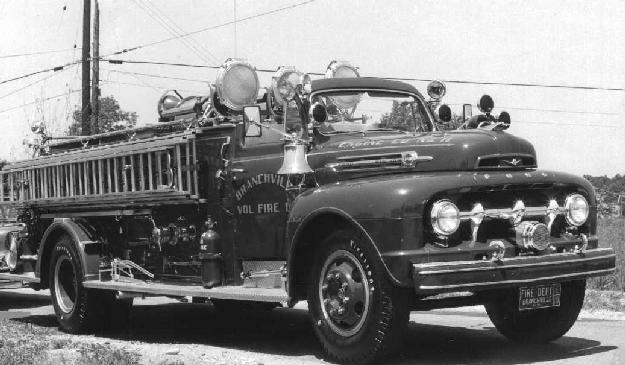 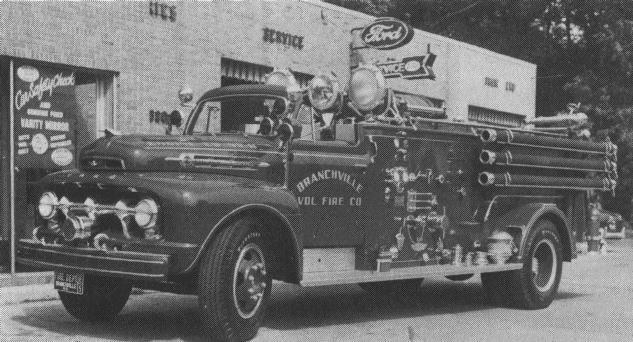 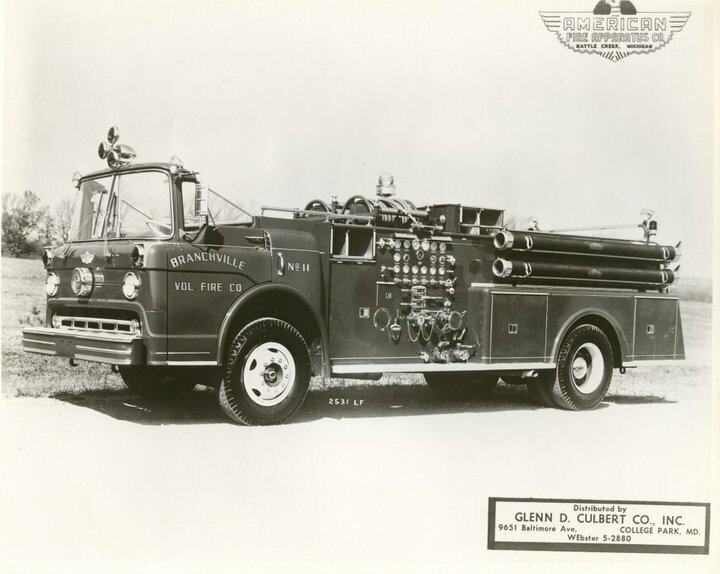 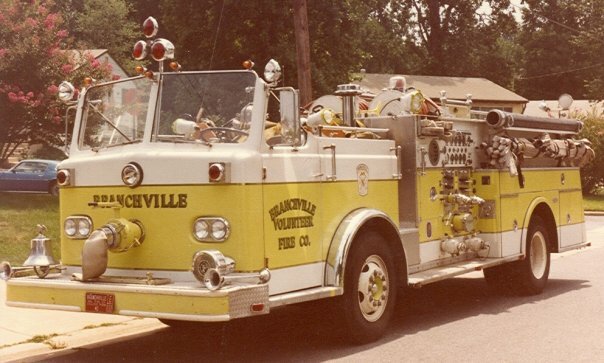 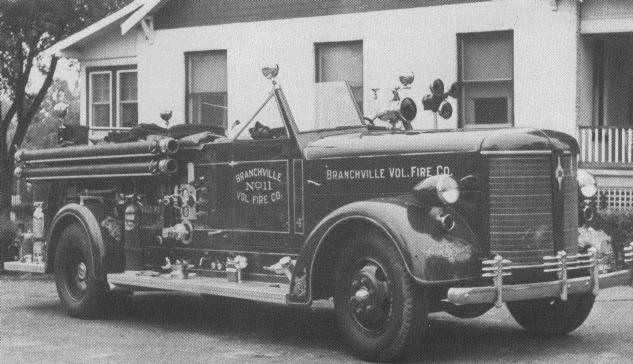 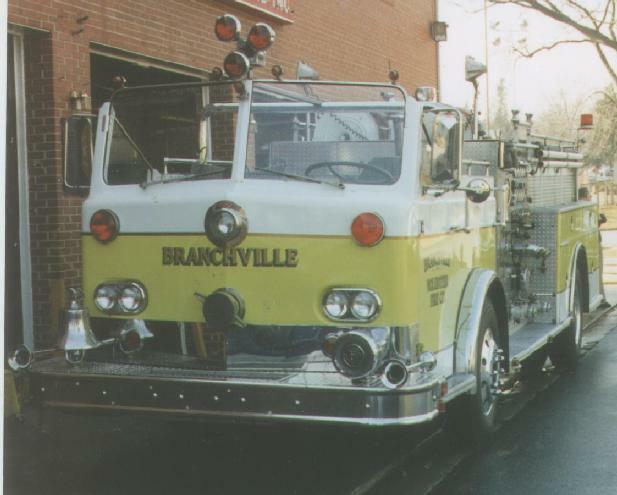 Later sold by PGFD to a private collector and re-purchased by the Branchville Ladies Auxiliary in 1999 for refurbishment. 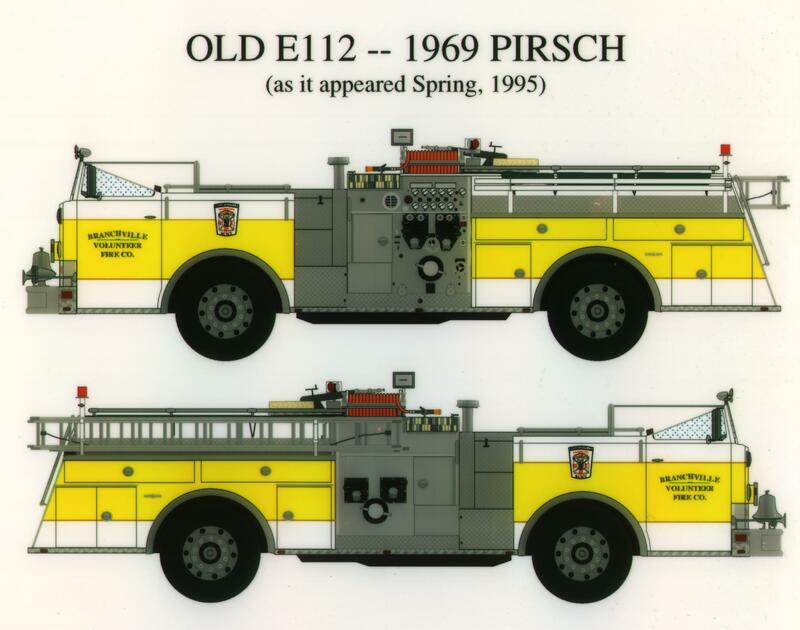 STATUS: Refurbished in 1996 and now used as a "Parade Piece"
Drawings created 1995 and � Copyrighted 2000 by Thomas L. Tanner, Jr. 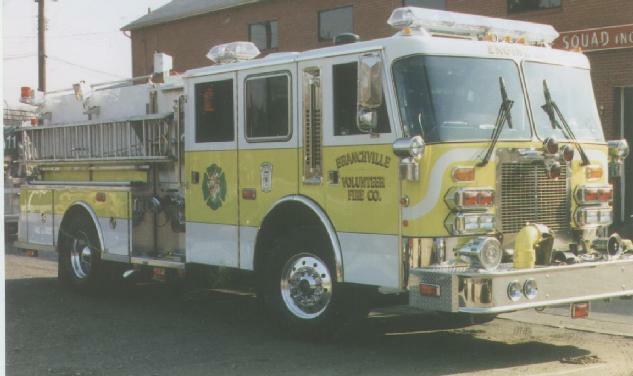 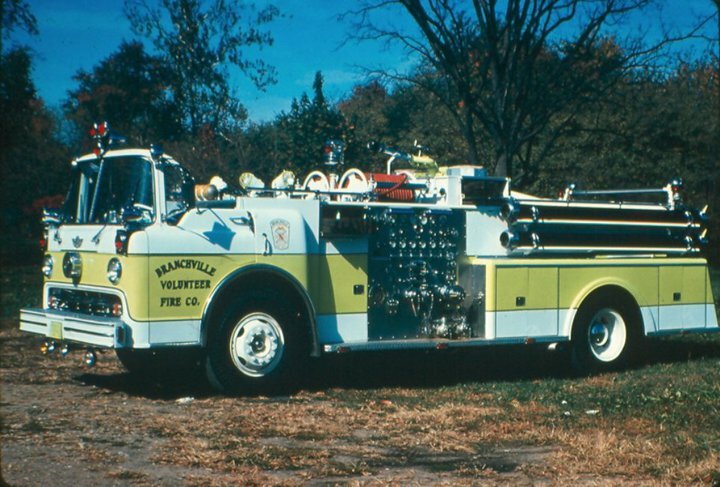 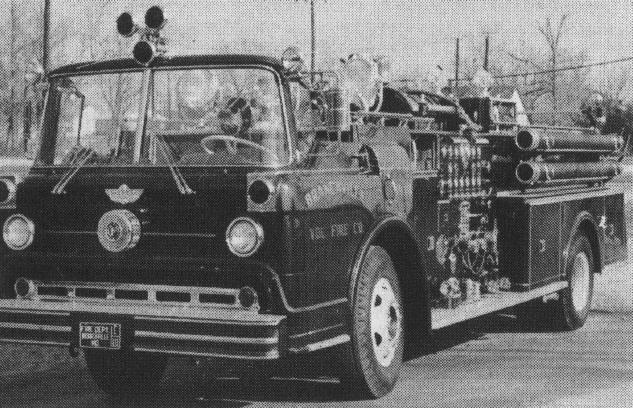 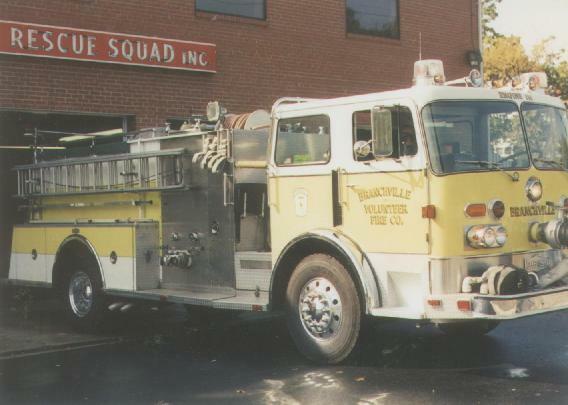 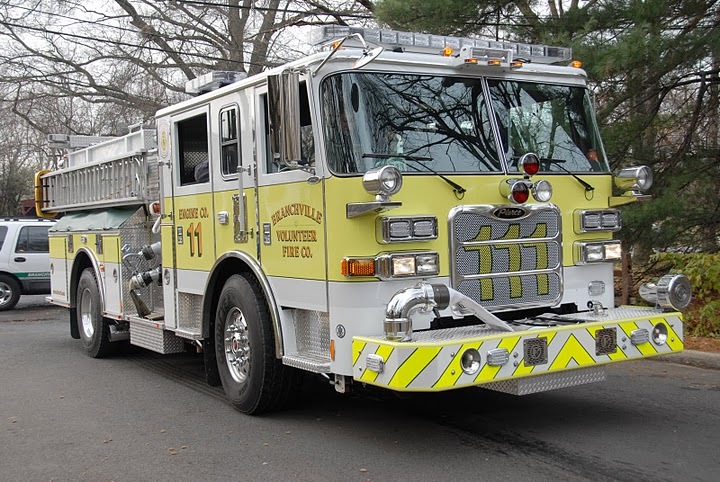 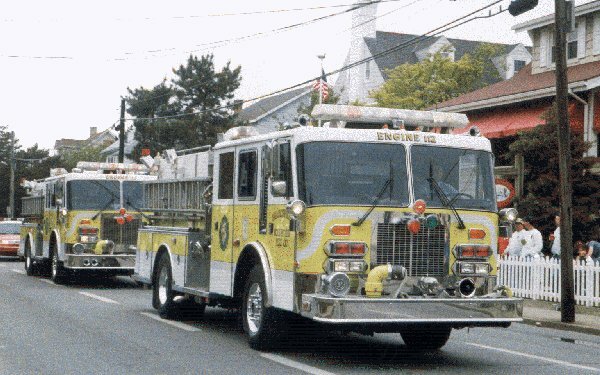 STATUS: Sold in January, 2000 to the Beltsville Volunteer Fire Department (PGFD Co. 31/41). 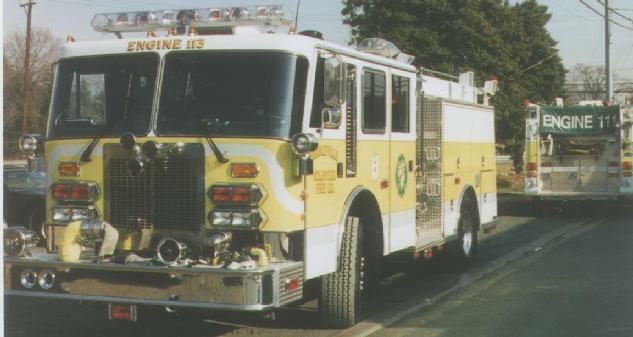 Co. 31 it resold in 2002 to the Owings Mills Volunteer Fire Company who ran it as Engine 312 in Baltimore County, MD. 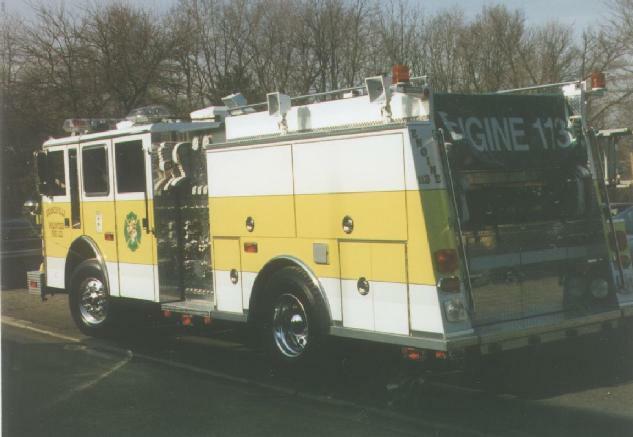 Owings Mills sold it in 2010 to Fenton Fire Equipment who resold it to Goose Lake Volunteer Fire Company in Iowa. 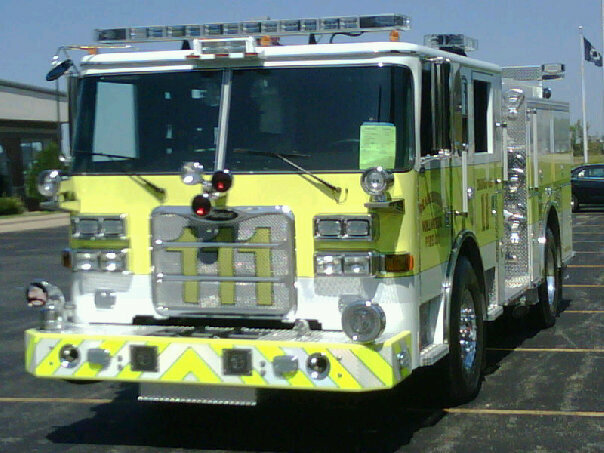 STATUS: Sold E111 in November, 2004, and presently owned by the Hudson Fire Department near Montreal, Quebec, Canada. 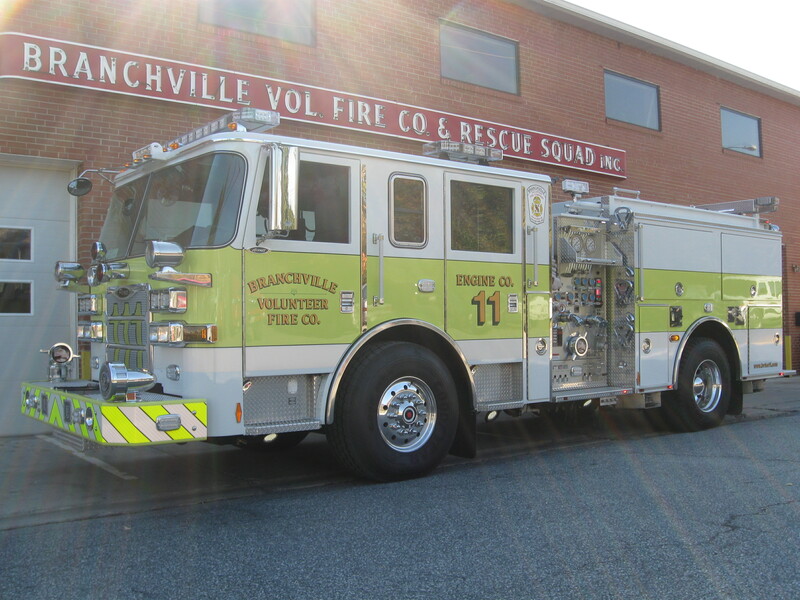 Sold E113 in 2011 to Boulevard Heights Volunteer Fire and Rescue Department Inc. here in Prince George's County, MD. 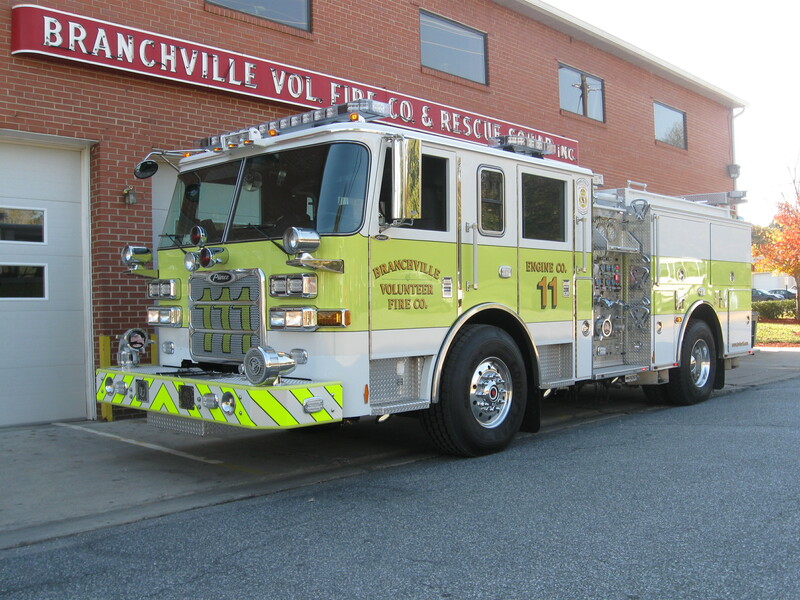 STATUS: Delivered on September 17, 2010, currently running as Engine 111 (E111). 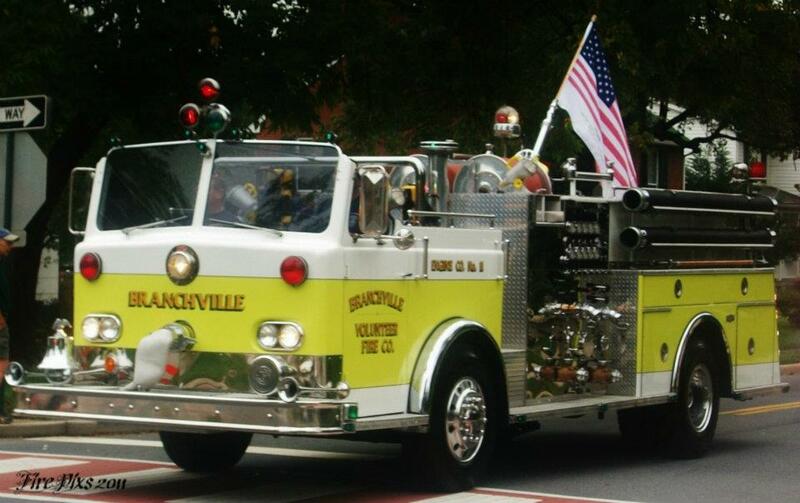 Last Overhaul of this page on 05/11/2013.